Punctuated with pavé and stones in a mix of different cuts, this irresistible rhodium-plated necklace adds instant sophistication and sparkle to any look. With a matching pair of drop earrings. 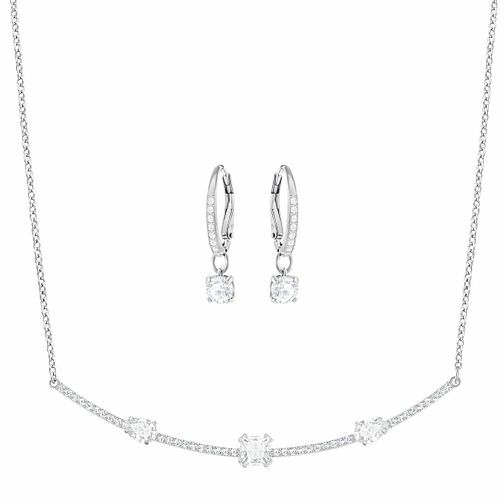 Swarovski Gray Stone Set Necklace and Earring Set is rated 4.0 out of 5 by 1. Rated 4 out of 5 by Anonymous from Nice look Really nice earrings, they go with casual outfits as well as more dressy outfits. But the chain on the necklace is a bit short, so it sits very high up on the neck.